The 5000-year-old Indian science of Ayurveda is the inspiration for VEEN’s new range of natural spring waters, infused with herbs, fruits and botanicals that support the body in its balancing process. Ayurveda texts stress that the mind, body and spirit need to be in harmony for good health, and that the medicinal substances found in nature can aid in this process. VEEN Ayurveda water contributes to holistic balance with ingredients such as tulsi, an antimicrobial extract known as ‘holy basil’ and the ‘wonder herb’, amla, or Indian gooseberry, known for its anti-ageing properties, and saffron, the world’s most expensive spice, known for its immunity boosting and skin nourishing properties. 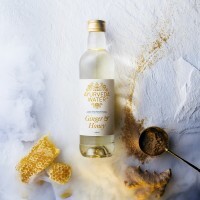 Other ingredients include the super-food honey, ginger, anti-oxidant blackcurrant, energising apple and soothing mint. Game of Thrones fans can come face to face with dragons and White Walkers in an ice hotel north of the Arctic Circle. The Snow Hotel at Lapland Hotels Snow Village is an enduring popular winter attraction, constructed anew from snow and ice every year. This year, the hotel group has partnered with HBO, the television network behind Game of Thrones, to build a hotel inspired by the smash hit fantasy series. 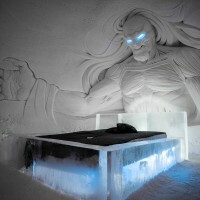 The hotel includes bedrooms and suites decorated with painstakingly crafted ice sculptures, including a White Walker, one of the show’s demonic bogey men, hulking over one of the beds, a dragon guarding the Ice Bar and a very chilly Iron Throne. 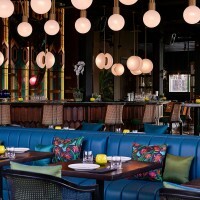 A stylish new restaurant and lounge at Dubai’s La Mer is getting plenty of attention for its inventive Indian dining and unique cocktails. Award-winning Chef Hari Nayak has created the menu at Masti as a reinterpretation of Indian cuisine inspired by global influences, with dishes designed to be shared – for example, The Black Bass Ceviche is an unusual take on a Peruvian classic with lime, jalapeno and crispy plantain. After dinner, guests can relax in the upstairs lounge with a cocktail or two created by Masti’s talented mixologists, or visit the dedicated gin room: Masti features one of the biggest collections of gin varieties in the city. 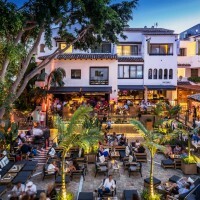 Nobu Hotels is to open a luxury retreat in the Spanish resort town of Marbella this March, its fourth European property. The adults-only hotel is being pitched at sophisticated party-lovers, building on the reputation of Nobu Hotel Ibiza Bay, a member of Small Luxury Hotels of the World (SLH). Guests staying in the 81 suites at Nobu Hotel Marbella – the newest member of SLH – can indulge in a variety of upmarket experiences, from hailing the roaming mixology cart for in-room cocktails, to enjoying sunset DJ sets and VIP access to the Nobu restaurant – the first in Spain for the acclaimed chef and his distinctive Japanese-fusion cuisine – as well as to the on-site nightclub La Suite. Facilities also include a private beach, a Six Senses Spa and a golf course. 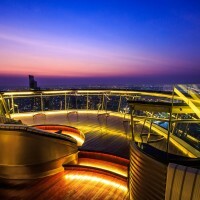 For connoisseurs who enjoy their tipple with a view, it is hard to beat the recently opened Alfresco 64, a dizzying 800 feet up on the 64th floor of the Tower Club at Bangkok’s top-end Lebua hotel. A partnership between the hotel and Chivas Regal, the bar offers patrons a memorable premium whisky experience, including the opportunity to sample the unique limited edition ‘Chivas Exclusive Lebua blend’, while drinking in the spectacular skyline of the Thai capital. Every detail is painstakingly considered – knowledgeable staff explain the intricacies of each drop, and glasses are specially designed to intensify flavour and aroma. The prestigious St. Regis Hotels & Resorts group is preparing to open its first Hong Kong property in January 2019, the result of collaboration with China Resources Property. Located amid the skyscrapers and high-end shopping of historic Wan Chai, the 25-storey St. Regis Hong Kong will feature sweeping views across Victoria Harbour and Kowloon Bay from many of its 129 guest suites. 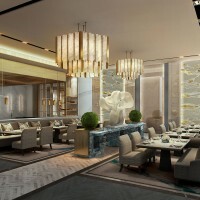 Interiors are being created by renowned Hong Kong-based designer, André Fu, while facilities will include signature Chinese and French restaurants. St. Regis is one of the fastest growing international luxury brands, more than doubling its footprint in recent years. There are currently more than 40 St. Regis hotels worldwide, including nine in the Greater China region. VEEN has launched a new initiative to benefit deprived children, inspired by the Kingdom of Bhutan’s development philosophy of Gross National Happiness. Attracted by its unspoiled natural environment, VEEN has been sourcing pure mineral waters from Bhutan since 2014. 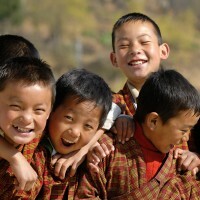 In line with Bhutan’s prioritisation of its people’s happiness above profit, VEEN will donate one per cent of revenue made on the sale of every bottle of VEEN to One For Happiness, a non-profit organisation which aims to promote peace and bring happiness into the lives of children who don’t have access to a safe environment, basic healthcare and education. 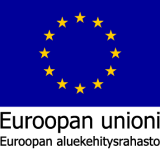 One for Happiness was set up to support organisations that operate charitable schools, safe spaces for children to live and spend their time, and child-orientated medical facilities. Celebrated British Chef Simon Rogan has tongues wagging with the January opening of his new venture, Roganic, in London’s trendy Marylebone. Rogan, a passionate advocate of farm to table, is well known for Fera at Claridge’s, which he opened in 2014 and steered to a Michelin star the next year before announcing his departure in 2017. 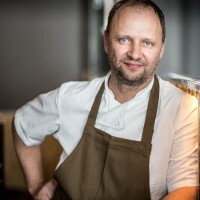 His first restaurant, L’Enclume, in the picturesque village of Cartmel on the fringe of the Lake District, has won two Michelin stars and been labelled best restaurant in the UK for four consecutive years by the Good Food Guide. Rogan says he wants to recreate the feeling of a little bit of Cartmel in London with Roganic, which follows on from a well-received pop-up he established in the same neighbourhood in 2011. 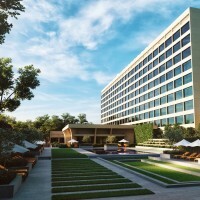 One of India’s best-loved grand hotels, The Oberoi, has started the new year with a fresh new look thanks to a $100 million revamp that has taken almost two years to complete. Much effort had been made to give the property a more contemporary ambience in keeping with its status as a top-tier luxury hotel: New York interior designer Adam Tihany has added a lighter, brighter aesthetic throughout the public and private spaces; guest rooms have been made more spacious (the number of rooms have been reduced from 283 to 220); and there are several new F & B offerings, including a rooftop bar overlooking Humayun’s tomb. To combat the city’s notorious pollution, the hotel has an indoor air purification system to provide guests with ‘the cleanest air possible’. 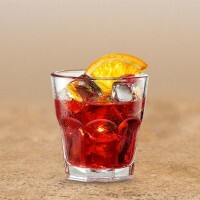 A growing appreciation of bitter flavours has seen Campari named both best-selling brand and top trending brand in an exclusive international bar survey. The latest liqueur brands report by industry journal Drinks International reveals Chartreuse is the second best seller, followed by Aperol and Cointreau. The report is based on a questionnaire filled out by owners, head bartenders and managers at more than 100 bars around the world, each selected based on their performance in global bar awards. The two data sets aim to provide an insight into brands selling the most volume and those that are considered hot in the current market.